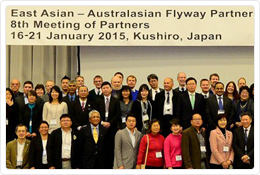 The East Asian-Australasian Flyway Partnership is a network of partners within the East Asian-Australasian Flyway (EAAF). The East Asian-Australasian Flyway Partnership (EAAFP) aims to protect migratory waterbirds, their habitat and the livelihoods of people dependent upon them. Non-governmental Organisations, and International Private Enterprise, which agree to endorse the text and support the objectives and actions under this Partnership. The Partnership, adopted in the list of the World Summit on Sustainable Development (WSSD) as a Type II initiative an informal and voluntary initiative, was launched on 6 November 2006, and aims to protect migratory waterbirds, their habitat and the livelihoods of people dependent upon them. Partners include governments, inter-governmental agencies international non-government organisations and international business sector…. Read more. 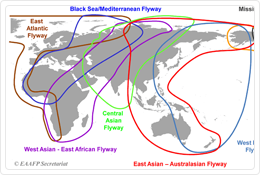 The East Asian-Australasian Flyway extends from within the Arctic Circle, through East and South-east Asia, to Australia and New Zealand, stretching across 22 countries. 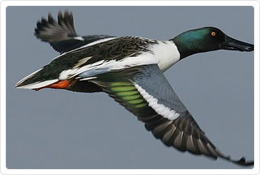 A flyway is the entire range of a migratory bird species (or groups of related species or distinct populations of a single species) through which it moves on an annual basis from the breeding grounds to non-breeding areas, including intermediate resting and feeding places as well as the area within which the birds migrate (Boere and Stroud 2006)…. Read more. Migratory birds are species where a substantial proportion of the global or a regional population makes regular cyclical movements beyond the breeding range, with predictable timing and destinations (Kirby et al. 2008). CMS (Convention on Migratory Species) definition – Migratory birds are the entire population or any geographically separate part of the population of any species or lower taxon of wild birds, a significant proportion of whose members cyclically and predictably cross one or more national jurisdictional boundaries (Kirby et al. 2008)…. Read more.